MELVILLE, N.Y. – Artists looking to turn their passion into popular online videos or to show the world their unique perspective through social networks now have a new tool available to them that helps them tear down creative barriers and produce dynamic visual content for both still and video. 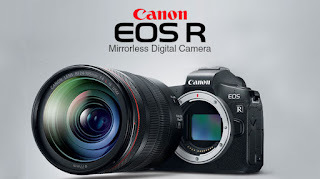 Canon U.S.A., Inc., a leader in digital imaging solutions, is proud to introduce the new Canon EOS 80D Digital SLR camera, featuring an new 45-point AF system, 24.2 megapixel CMOS sensor for crisp images with fine detail. For the budding videographer or online video star, the camera features Dual Pixel CMOS Autofocus (DAF) technology coupled with an intuitive touchscreen capability for easy focusing when shooting video.